Signs of the times. 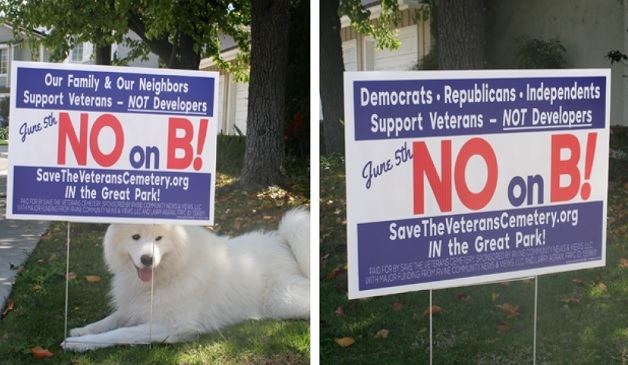 Irvine residents take a stand for veterans and against developers. Like mushrooms that appear overnight, “NO on B!” lawn signs are springing up in front of homes all across Irvine. Measure B is developer FivePoint’s unpopular Zone Change Ordinance 17-08 — now on the June 5th ballot. 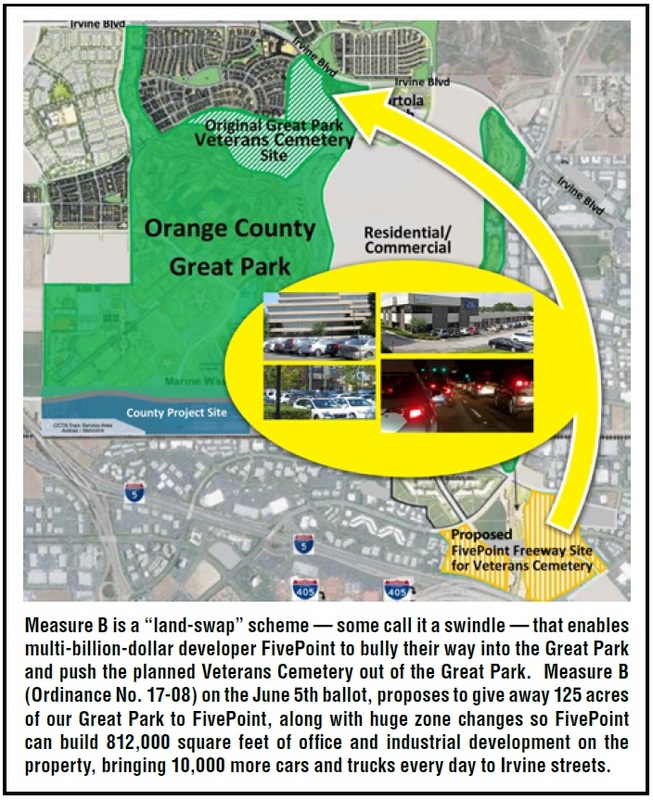 Promoted by multi-billion-dollar land developer FivePoint, and approved by the Irvine City Council on a 3-2 vote in October, 2017, the ordinance would replace the planned, State-approved, and construction-ready Veterans Cemetery in the Great Park with zoning that allows FivePoint to build a massive office and industrial development in the Great Park — bringing nearly 10,000 more cars every day to Irvine Boulevard, Sand Canyon, Jeffrey and Culver. 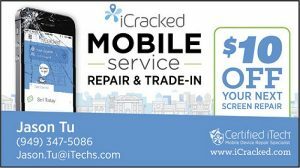 Incensed at what many called a “giveaway of our Great Park,” longtime Irvine resident Ed Pope, a retired social studies teacher, quickly organized a committee to Save the Veterans Cemetery in the Great Park. Pope, himself a U.S. Army veteran, launched a bold referendum campaign against the zone change ordinance, relying on hundreds of volunteers to gather 19,164 Irvine resident signatures — forcing the City Council to put the unpopular Zone Change Ordinance 17-08 on the June 5th ballot for an up-or-down vote of the people. PreviousSchoolWatch: Let the Reform Begin!